Designed to add sophistication to almost any area, this high-quality flag is one of our most versatile products. Offering lots of creative scope, it can be used to conjure up images of a rustic stone floor in a country house but is equally at ease in the contemporary setting of a modern home. 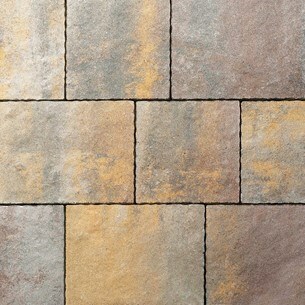 Manor Stone is supplied in a mix of four different sized flags (flags not sold individually). We recommend using Fuge Jointing Material with Manor Stone flagstones for a low-maintenance finish - available in two colours (Basalt / Buff).